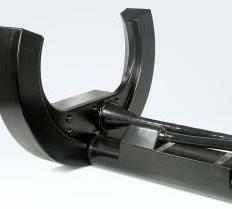 The SeaBat 7101 is more than a cost-effective upgrade to your SeaBat 8101. It’s a hi-res multibeam sonar system that takes the latest advances in signal processing and data handling and delivers results you can trust. With its 40Hz-ping rate, high density of equidistant soundings and real-time roll stabilisation in shallow water, the 7101 is so accurate your surveys will beat international standards every time – even sailing at high speed. And you can be confident of reliable seafloor detection in all acoustic environments. Compact, easy to install and quick to set up, the SeaBat 7111 helps you get your survey started with minimal planning and preparation. Housed in a lightweight cradle, the SeaBat generates hi-res hydrographic charts that beat international standards down to 1,000 metres below sea-level. Switching between equidistant and equi-angular beam spacing gives you soundings that are uniform in density and accurate – even at the fringes of the swath. The 7111’s autopilot sea-floor tracking minimises your need to intervene manually, and with minimal data overlap you can complete every survey in good time. The SeaBat 7125 continues to evolve with ever more powerful features for specific applications, and for enhancing productivity. The links below provide full details of the features contained within the latest innovative release, Feature Pack 4. The fundamental acoustics continue to be class leading with 400kHz for high resolution, high density surveying which exceeds the most stringent of specifications, and 200kHz for greater range performance. 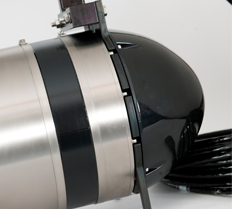 The SeaBat 7125 can be installed on any platform from survey vessels to ROVs and AUVs down to 6000m water depth. 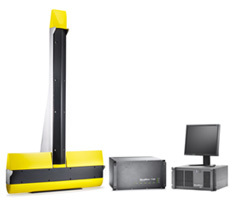 The SeaBat 7128 is a forward-looking multibeam imaging system. 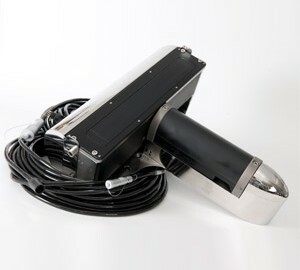 It’s ideal for shallow-water imaging applications, generating hi-res images even when your vessel is sailing at speed. But if you want to go deeper, you can install it on an ROV and still get hi-res images at 6,000 metres below sea level. And because the system is unaffected by siltation in the water column, ROVs can carry out complex manoeuvres in zero visibility. The ultimate in flexibility, RESON’s SeaBat 7150 system combines hi-res performance with an advanced modular design. Select 24kHz for ultra-high resolution in shallow water and switch to 12kHz for more range in deeper waters. The 7150’s modular design makes it easy to tailor your system’s resolution to the demands of your survey – and your budget. The 7150 is ready for action out of the box with a range of advanced features. A high beam count gives you high-density soundings so you pick up the details that could prove critical to your operation. And, if the weather gets rough on the open sea, you can apply pitch and roll stabilisation and complete your survey with no loss of time. The SeaBat 7160 provides an unbeatable combination of range, resolution, portability and powerful features. 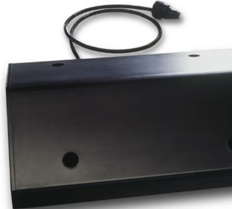 The SeaBat 7160 transducer array is comprised of linear receive and transmit arrays mounted together on a support base. The T-shaped array geometry provides the basis for a compact, high-resolution sonar which is easily installed for portable or hull mounts – a first for a high-resolution system in this frequency range. 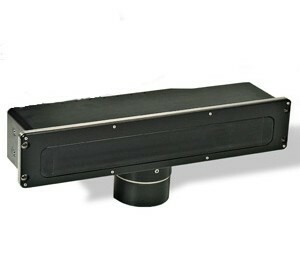 The system features a pitch-stabilized transmitter and an active roll compensated receiver. Performance enhancements over the SeaBat 8160 include the addition of 512 high density equi-distant beams, variable swath coverage, beam uncertainty measurement, water column data and many other efficiency enhancing features. © Copyrights 2019 Hydronav Services (S) Pte Ltd. All rights reserved.